Fiat would still like to take over Chrysler, but a fight over the prenuptial agreement is preventing this marriage from moving closer to consummation. Fiat today announced it would buy about a quarter billion US dollars more of Chrysler stock. 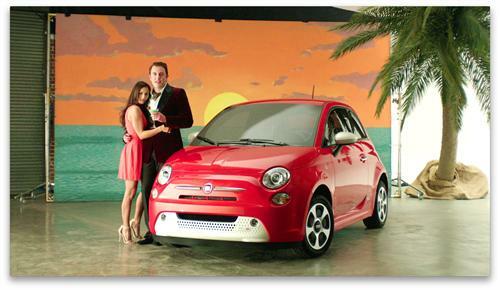 Since 2009 Fiat has been a part owner of Chrysler Group following that private company’s bankruptcy. Presently, before this new stock purchase, Fiat owns 58.5 percent of Chrysler. The other large stock holder in Chrysler is the Voluntary Employees Beneficiary Association (VEBA) of the United Auto Workers Union. That organization presently owns 41.5 percent. The new stock purchase, which Fiat thinks will cost about $ 250 million dollars, will be a purchase by Fiat, from VEBA of 3.3% of the company. If this new stock purchase is completed Fiat would be on its way to owning the company, which it hopes to do outright at some future date. The purchase price has yet to be agreed upon by the two parties. VEBA feels that Fiat’s price is undervalued and that Fiat should pay roughly one hundred million dollars more for the 3.3 percent stake. The purchase is being negotiated in part by a Delaware court. When Chrysler (which was part of a private company based in the US at the time) went bankrupt the US government doled out shares of the company as it saw fit. During that period it created a method by which Fiat could buy small percentages of stock over time. The dispute is over how that pre-arranged stock buyout by Fiat is priced. Initially, when Fiat bought Chrysler many said that it was folly. Another European company, Daimler-Benz, had tried to work with Chrysler to gain some commonality of parts and economies of scale advantages, but never really benefited from the relationship. From 1998 to 2007 the two companies were merged. The losses to Benz were enormous. Benz shed Chrysler in 2007 and Cerberus Capital Management became the owner. That ended in financial disaster as well in 2009. Chrysler has of late done well with certain models, notably trucks. Now branded Ram, the trucks that Chrysler sells have done well as the rising tide lifted all boats over the past 20 months or so. Some of Chrysler’s rear wheel drive cars such as the 300, Some Jeeps, and some of its sports sedans and coupes have also sold better than predicted. The new Dodge Dart, which is the first melding of the two company's products has received good reviews, but has not sold as well as hoped. Without Chrysler, Fiat would have lost money last year. Instead it posted earnings. Fiat’s problem was Europe. That market has collapsed as the US market and Chinese market have done well. Fiat’s leader Sergio Marchionne is soft spoken and very humble, but his words carry a lot of weight. His vision of Chrysler may not have been exactly what has come to pass, but his decision to globalize Fiat has turned out well of late regardless of if it was plan or luck. Corporate insiders have been quoted as saying they predict the sale will come to pass in the fall of this year.